A photowalk is a fun time to get your camera and get together with other photographers. You’re sure to learn some new techniques, check out other shooter’s ideas, and you’re guaranteed make some new friends with similar interests. 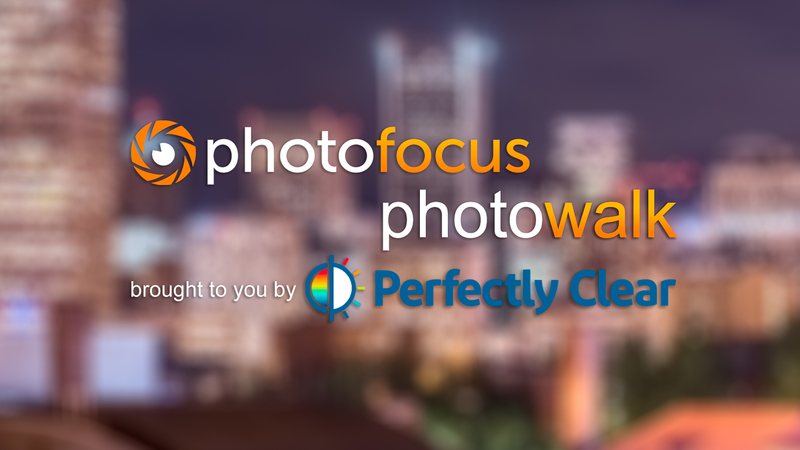 Those who attend the photowalk will have a chance to win a license for Perfectly Clear software or a ticket to attend KelbyOne’s seminar with RC Conception on the 16th. What to bring: Your camera with freshly charged batteries and empty memory cards. Dress for the weather; it’ll be dark by the time we’re done. Levi will bring a tripod and/or Platypod Pro for himself. If you bring a speedlight, Levi will be happy to help you make use of it. On my way. Lots of traffic nearby. Hope to be there by 6:30.